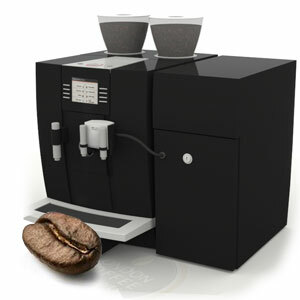 The GIGA X8 Bean to cup coffee machine offers all of the features and benefits of the GIGA X7 system but with a couple of extras. The full range of coffees, hot water, steam and hot or steamed milk are still all available with just one touch of the button. As with the X7 the intuitive TFT screen allows the machine to walk the operator through the cleaning and descaling processes making the GIGA X8 easy to live with from the point of view of the operator. All of the cleaning processes are automated and easy to perform. The GIGA X8 is available as either a plumbed in or manual filled version. It should be noted that this must be specified at the point of order as the machine needs to be set up as either option but will not do both. As with all bean to cup coffee machines, particularly those sited in a hard water area such as London, we always recommend a good quality water filter to reduce issues caused by scale build up and to optimize the drink quality. In addition to these benefits the GIGA X8 will dispense a coffee much quicker than the other machines in the GIGA range due to the hot water bypass facility. This extra dispense speed makes this machine a great option for medium usage sites that require a number of drinks to be dispensed in quick succession. We can provide the GIGA X8 across London and the surrounding areas. In addition our own team of technicians provide a top class technical back up and our logistics department ensure efficient and prompt deliveries. Having our own logistics and technical teams allow us to offer a flexible service that many of our competitors cannot match. 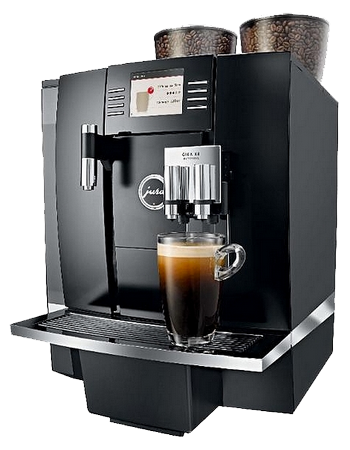 Our in-house team of technicians are on hand to solve any problems that you may have with your Jura X8c Bean to cup Coffee Machine, or any of our other other rental or Lease coffee machines.